The Quinlivan Net-Zero Energy House was included in the 2018 National Solar Tour, organized by the American Solar Energy Society and Solar United Neighbors. Visitors toured the house and were able to study the ground-mount photovoltaic system as well as the conditioning energy recovery ventilator (CERV) system. Walters, Bradley. 2018. 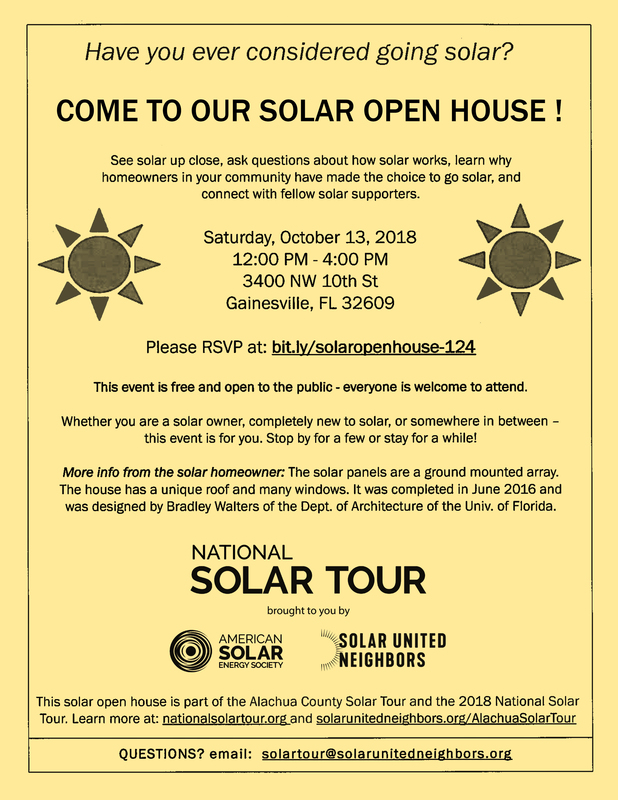 “2018 National Solar Tour: Quinlivan Net-Zero Energy House,” a program of the American Solar Energy Society and Solar United Neighbors, Gainesville, Florida, October 13.